One of the strengths of the Microsoft Dynamics 365 solution is the seamless integration of CRM&ERP capabilities into one single cohesive platform. This integration turns the platform into the perfect system for your logging operation, as it enables you to manage all aspects of the business through a unique solution. 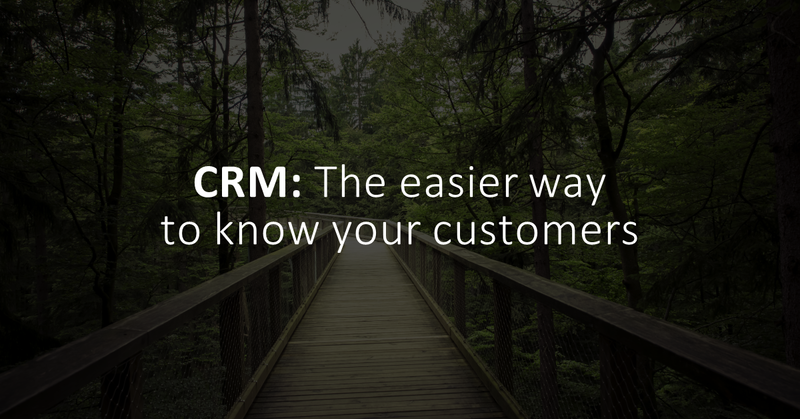 This blogpost focuses on the CRM side of things, citing four reasons why this functionality will help you form and nurture solid customer relationships. Customer relations, and how you manage them, will largely determine the success of your logging operation in the long run. How you treat your customers, establish trust, and earn their business are capital principles for any business. You must nurture and look after your customers to ensure they return to you. The Dynamics 365 solution goes a long way to assist you in this endeavour, through customer engagement, employee empowerment, operation optimization, and product transformation. Your customers want to be engaged and interested in your proposition. If this fails, you are more than likely going to lose them. There are many ways of engaging customers using Dynamics 365. The solution allows for the creation and implementation of innovative business models, for example, through which you can reach out and engage your customers. A great chunk of the CRM proposition is the creation of more leads to attract more sales. Every business needs to diversify and amplify sales to guarantee sustainability. Engaging customers surely is the first link in the chain, as an engaged and interested customer is more likely to speak positively about your proposition, thus potentially generating more leads for you. It is up to your Business Developers then to follow that up, but CRM management is the first step. The end result of this factor if increased sales, which will lead to additional revenue, possibility of business expansion, etc. The app’s functionality enables you to target the right audience for your business, to engage them, and make them come back for more. Many companies provide services or goods, then forget that you ever existed. These companies will likely not be around for long, because of a lack -or total disdain- for post-sales support. Part of the customer engagement proposition is to ensure the customer is looked after not only before and during the sale, but afterwards a well. Post-sale support is just as important as business development. Is the customer happy? Does the item or service fulfill their requirements? Does the customer need further help? All these questions are much more can be answered through Dynamics 365.